Shopping for kitchen countertops? An average person does not do that on a regular basis. This type of purchase can be categorized under long term investment for our homes. Some people may go through this process once in their lifetime, others couple more times or so. I’ve been through this process myself for my own remodels and for a lot of kitchen remodels I’ve been involved in being in the business for over a decade. 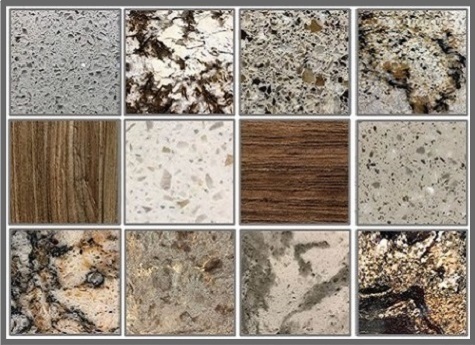 And so there are always questions as to what Kitchen Countertop Material Options are best for each unique situation. My goal is not to give you scientific composition and calculations but mainly to provide helpful and practical information about the most common Kitchen Countertop Material Options available these days. 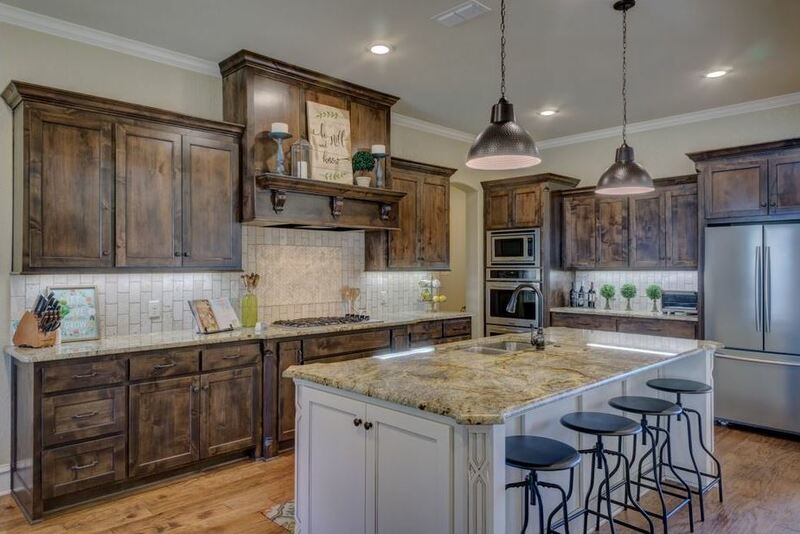 Granite is one of the most popular kitchen countertops nowadays. It is a natural stone quarried from different parts of the world. Its stunning unique natural beauty is what mainly attracts people to it. I remember when I first laid eyes on the granite I fell in love with, it was gorgeous. Guess what I purchased the very next opportunity I had? I did a home remodel about 10 years ago. Although it was beautiful, it did have the natural stone characteristics that I didn’t like such as pits, water marks and fissures which look like cracks. These natural characteristics are visible and something you can feel. So every time I wiped down my granite counters, I was always thinking if something got in those pits and crack lines called fissures. Back 10 years ago when I remodeled my kitchen, there was no such thing as pre-sealed granite like they have now. I had to buy a set of cleaner, sealer and polisher to protect from stains. Now, pre-sealed granite is available in the market. Meaning, the stone has been treated or sealed, before they are installed in your home. This treatment protects the stone from any kind of stain that could penetrate. 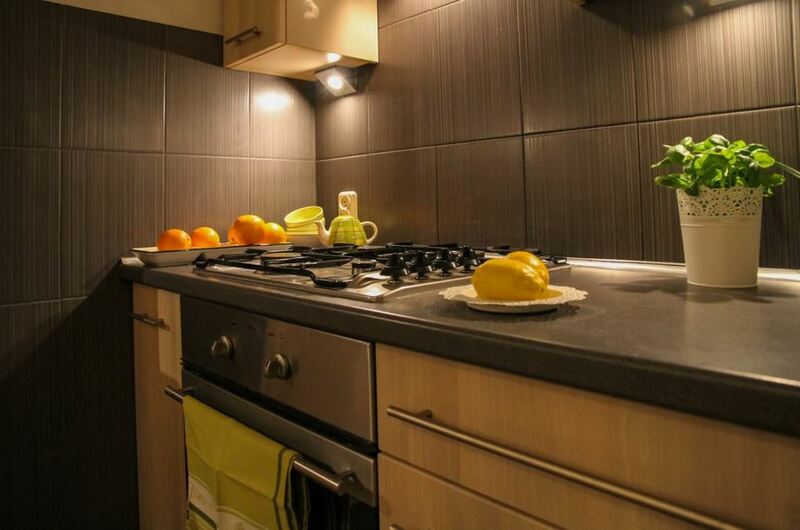 Granite is heat-resistant and scratch resistant. However, it is not indestructible like others may want to imply. I have personally seen granite cracked, chipped or scratched. I do think that these bad things can happen with excessive force or abuse, NOT under normal circumstances or normal wear and tear. Granite samples available at a local store are not really reliable. Most granite has wild veining and busy patterns. Each slab is distinctly different from one another and varies greatly by color, by shade, by pattern or the direction of which the veins travel. You may be looking at a sample that’s usually less than one square feet in size but that does not necessarily represent what the whole slab would look like. You could get a big surprise with your new countertop if you didn’t know. You may not recognize what you actually chose. Due to pattern and color inconsistency, fabricators highly recommend for you to view the slabs of granite choice before they actually proceed with fabrication and install. Seams on granite are visible and can be felt. Most popular brands are Sensa by Cosentino, Allen and Roth, Stonemark. Quartz is a man-made engineered stone, made out of natural materials mixed with resins, polymers and pigments. It is a durable material with the feel and look of a natural stone. It is highly scratch and heat-resistant. Quartz is highly resistant to stains. It is not porous, therefore no need for sealing. Chipping is possible as I have personally seen this product chipped. However, I do think that it takes a lot to damage quartz. You would have to drop an extremely heavy item to chip it. Nowadays, quartz has gotten more popular than it used too. More color options are now available. Some even looks like natural stone or marble. I think quartz is the best option if you are going for a modern or minimalist look. Most colors in quartz work with popular color trends these days such as whites and grays. Although most of the quartz small samples are pretty close to what they are, variations in color, shade and pattern can still occur. Especially with the new colors imitating real stone or real marble look. Speckled color patterns are usually consistent however, slight variation in shade can still occur. Some color patterns show random blotches as part of the overall color pattern and design. These blotches or spots may not show on small samples. Just like with granite, I recommend viewing slabs of these colors before making final commitments. Seams on quartz are visible and can be felt. Most popular brands are Silestone by Cosentino, Allen and Roth, Viatera by LG, Cambria, Caesarstone, Zodiaq by Dupont. 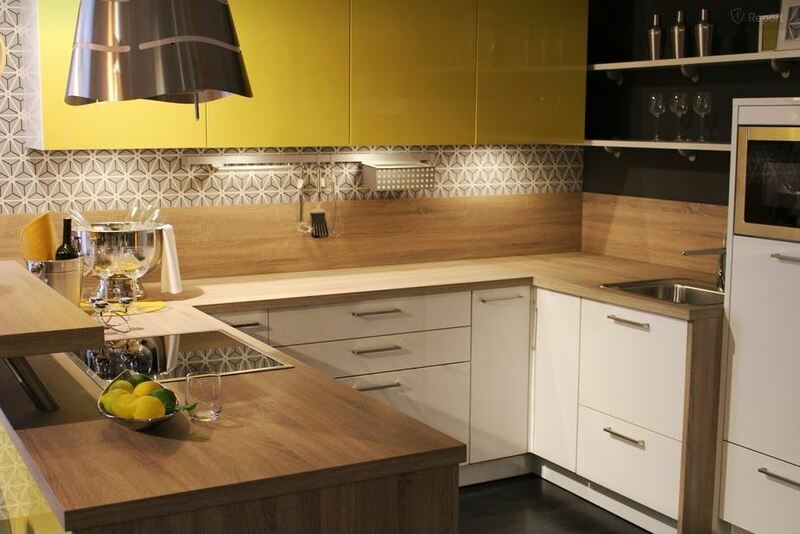 Solid surface countertop is made out of acrylic or polyester with resins and pigments. What I most like about the solid surface is the ability to give you a seamless appearance. No matter what your countertop shape is and how big, this material will give you an inconspicuous seam. Integrated backs plash called coved splash is a unique option with this material giving you a seamless look on your backs plash. Another cool option is an integrated sink where the sink is also made out of the same material and is molded seamlessly with your countertop. Integrated drain board option? Yes it is possible with solid surface countertop as shown in the kitchen above. Solid surface countertop is not as heat-resistant as granite or quartz. Direct exposure to heat can damage this material. Do not to put hot pots and pan directly on the surface or integrated sink. Use of heat-resistant trivets with rubber feet or heat protective mat/pad is highly recommended. Integrated sinks can also crack and separate. As a precaution, it is recommended to run cold water from your faucet while pouring boiling liquid into your integrated sink. Solid surfacing can scratch. Use of cutting board is strongly recommended. However, unlike laminate, the color on solid surface is solid all the way through. Scratches can be buffed out or sanded without getting through the substrate. Heavily pigmented colors or darker color can show scratches, dust, and signs of normal wear and tear more than the lighter colors. These dark heavily pigmented colors are typically recommended for accents only or on not highly used areas. Solid surface countertops can also stain with common household products. It is advised to wipe spills down as they occur because prolong exposure to spills can stain the surface. You would have to refer to the manufacturer’s guide on how to remove common stains. The good news is, this material is repairable through certified solid surfacing service providers. I have personally seen what a solid surface countertop looked like after being repaired from stubborn scratch, crack and heat damage. It’s flawless, like nothing happened. Most popular brands are Hi-Macs by LG, Corian, Allen and Roth, Formica Solid Surfacing. Laminate countertops have come a long way from the good old butcher block laminate color. Companies such as Formica and Wilsonart have hundreds of colors available. Some colors even look like natural stone or marble. Depending on the size of your kitchen, this might be a good alternative for a natural stone look for less. Seamless sink integration in laminate is now available with Karran sinks. This material is made of thin layers of kraft papers, plastic, and melamine resin adhered to an engineered wood underlayment popularly known as particle board. This is definitely not heat, and scratch resistant. Excessive heat can melt the contact adhesives used and discolor or burn the surface. Although it is easy to clean and somewhat stain resistant, it is not stain proof either like many other surfaces out there. Except for minor delamination, all other damages are not repairable. However, it can last for many years with proper use and care as I have personally seen homeowners who have had laminate countertops that lasted 20+ years. Marble is also a natural stone but softer than granite. It is naturally beautiful and gives a timeless classic look to any room. It’s widely used for kitchen and bathroom countertops, backsplash and flooring applications, due to its popularity, versatility and of course its spectacular beauty. I love it myself. However, one should know that marble is too porous and stains easily. It is highly recommended sealing at least once a year. Wipe down spills immediately as they occur. Just like granite it is also heat-resistant and can also scratch, chip or crack. Seams on marble are visible and can be felt. Wood countertops popularly known as butcher blocks are made out of exotic solid wood such as Brazilian cherry, teak, hickory, walnut, bamboo, chestnut, maple, cherry, oak, hickory and many more. The stunning beauty of natural wood especially exotic wood makes wood tops a perfect option for a gorgeous, unique accent finish on any kitchen islands, and special areas or nook in your home. Wood countertops can be refinished. Common wear and tear damages such as scratches, gouges, burn marks etc., can be sanded and restored. Some wood top finishes requires mineral oil treatment every month. 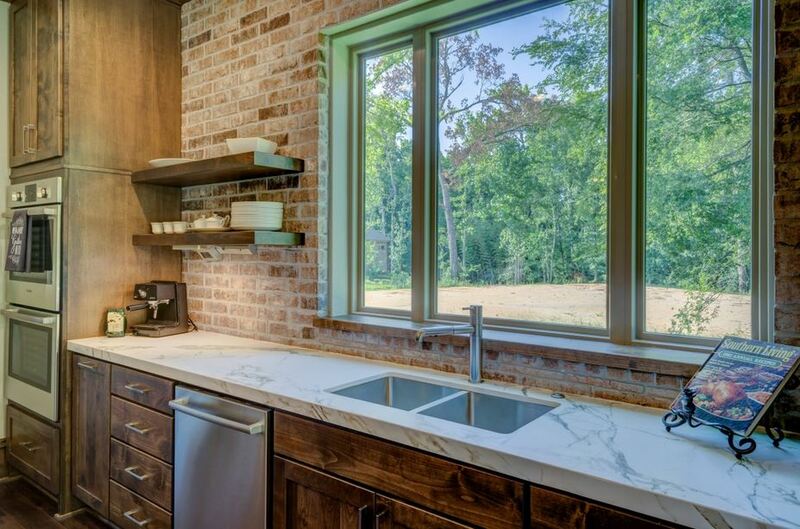 Wood countertops are not as heat-resistant as stone countertops. Use of heat protection pads or trivets is recommended. 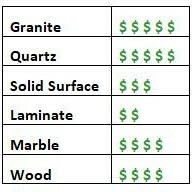 The pricing chart below is only for the purpose of providing a general idea of where each type may fall in terms of pricing. Kitchen countertop cost vary greatly based on store locations, material availability, finish options, color grouping, edge options, cuts and more. Always use cutting boards. Thou shall not use countertops as chopping blocks. Always use trivets. Thou shall not set extremely hot items directly on top of countertops. Always clean and wipe down. Thou shall not leave spills and dirt for long periods of time. Although some kitchen countertop materials may be more forgiving than others, if we try to do the basics, we can help avoid hurting our investment. Choose one that fits your needs and your budget. I love modern styles with ledlights, this is my dream. And guess what, we need a new kitchen, we bought a house, and the kitchen is 38 years old, and it is broken, so we are in need for a new one. So many thanks for sharing this, we will check it out! I was curious why I hadn’t read anything about tea as your website name would justs so I went over to your “About” section which tells me that this site isn’t necessarily about tea.The concept of you writing to me, as a reader while you enjoy your tea seems unique to me and gives me a visual that makes my experience here a more personal one. It is a very thorough article on Kitchen Counter tops. Great job here! 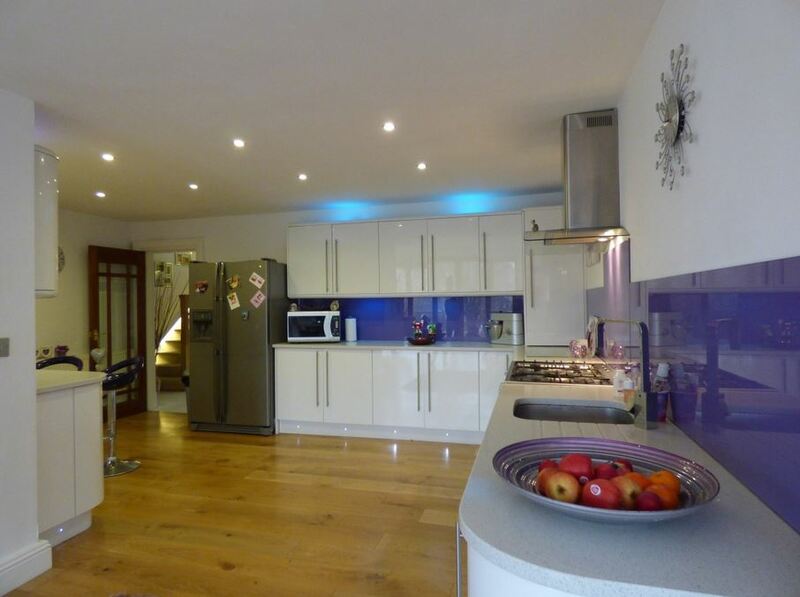 I really love that your website is as clean as the kitchens in these pictures! I must admit that I was looking for a photo shopped teapot in the first few of these pictures. Mamma and I are thinking about quartz counter tops but we have the money set aside for granite, so with money not being an issue, what would you recommend for a surface? We plan on selling in 3 years, so we really want to get the most bang for our buck here, especially where trying to impress a potential buyer. I know granite and marble don’t have molded in sinks, but which one’s do? Finally, to your recommendation on material, is there a manufacturer that you would recommend? Thank you for a very helpful article that I found at just the right time! Silestone quartz has silestone sinks called Integrity sinks that provides visual unity and seamless integration. 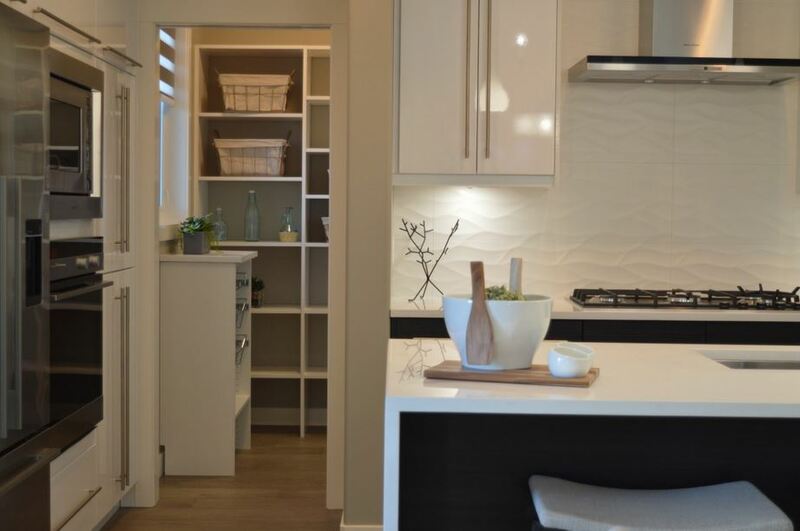 Solid surface countertops such as Corian, Lg Hi-Macs will give you molded, seamless integration as well. I like Granite too. I had one before and now with our new house(came with it). But now if I have a choice, I would choose Quartz. I just love the modern or contemporary color options plus the fact that it’s not porous.